The artisan Vermont cidermaker has two accessible, new blends just in time for summer. By Jacqueline Cain·	 6/2/2016, 2:28 p.m.
Gone are the days of settling for a watery macrobrew during your glass-prohibited summer trips to the mountains, the woods, and the ocean. With due respect to Dale’s Pale Ale, and one particular silver bullet from New England elevating aluminum to a coveted status, craft beverage drinkers now have their pick of local brews in 12-ounce, 16-ounce, and even 32-ounce cans. And it’s not just beer: Last summer, Bantam Cider ushered in summertime with crushable four-packs of its cloudy Americain, Far From the Tree entered into the fray this spring, and now, Shacksbury is joining the party. The Shoreham, Vt., cidery launched two new blends in 12-ounce cans, Dry and Semi-Dry, on May 1, and they’re at select Boston-area retailers, bars, and restaurants now. In the coming months, they’ll debut in a few midwest markets and California, too, says cofounder David Dolginow. So that’s what he and business partner and cidermaker Colin Davis set out to create. Using nine different apple varieties from Sunrise Orchards in Cornwell, Vt., and Dragon Orchard in the United Kingdom, both the Dry and Semi-Dry ciders will appeal to a consumer who prefers easy-drinking ciders, but they don’t lack the complexity Shacksbury has become known for in the cider world with offerings like Basque, a funky collaboration with Spanish cider house Petritegi Sagardoa, and the naturally-fermented Pét-Nat. “We wanted the blend to have enough of the higher tannin [that] English varieties [impart], that still have a lot of structure, earthiness, and complexity, while also having that fruit character that makes it really refreshing and drinkable,” Dolginow says. The apples are at the forefront of Shacksbury’s business model: The company partners with Sunrise, and the owners and their team also search around New England for “lost” varieties to graft and regrow in their own orchards. They press an entire year’s worth of cider in the fall, which is unique to American canned ciders, to Dolginow’s knowledge. 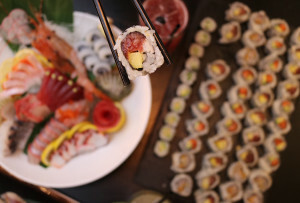 “The reason we do that is to show all of its ‘appleness.’ The cells haven’t decayed at all, and it yields the best flavor possible,” he says. 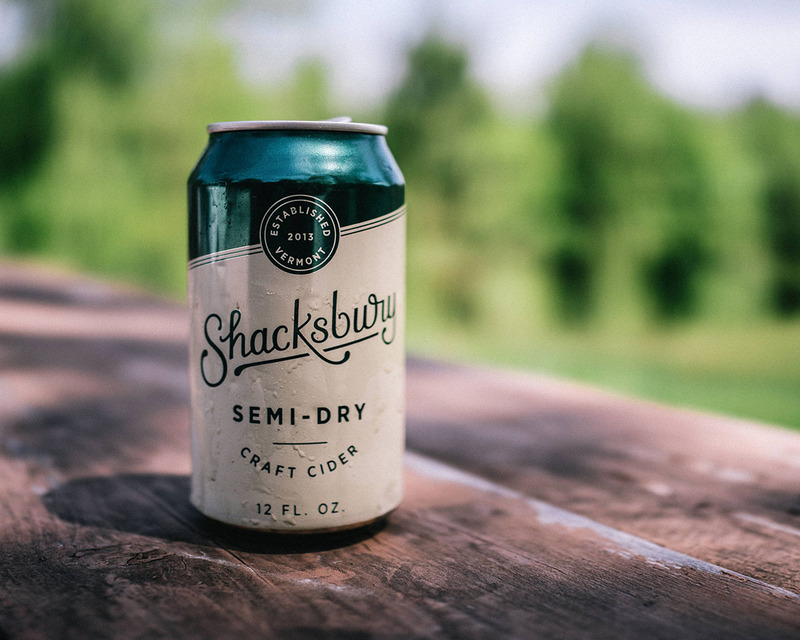 While the ciders are pressed, fermented, and aged at Shacksbury’s farmhouse, the company used the co-packing facilities of old guard cidermaker Woodchuck, in nearby Middlebury, to can the product. They plan to produce 8,000 cases this year—the minimum order, Dolginow says. A good amount will make its way to the Boston area, and Dolginow is hopeful they’ll stick around until the 2016 vintage is ready, but he can’t make any promises. If you’re running the Tory Row 5K next Sunday, June 12, in Harvard Square, don’t miss the finish line after-party, which doubles as the cans’ official Boston launch. Shacksbury Dry and Semi-Dry ciders, both 6.5% ABV, retail for $10-$12 per four-pack, select Boston area retailers, shacksbury.com.